« How much do you know about Wheelmap? Places are understood as locations and areas to which anthropogenic meaning is ascribed. As such, places have been of central interest to philosophers and geographers for a long time, and a large stack of mostly discursive and qualitative literature evolved around this topic. Talking about digital and formal representations of places, however, the inherent vagueness of the aforementioned definition has so far hindered significant progress towards a platial notion of GIS. Place as a concept in the field of GIScience is therefore still in its infancy. Some progress has been made recently, but a consistent theory of how to characterise, represent and utilize places in formal ways is still lacking. A place-based account of GIS and analysis is nevertheless important in the light of the plethora of increasingly place-based information that we have available in an increasingly digital world. Digital technologies are nowadays strongly integrated into everyday life. As a result, a large number of especially urban datasets (e.g., geosocial media feeds, online blogs, etc.) mirror to some degree how people utilise places in subjective and idiosyncratic manners. Taking full advantage of these often user-generated datasets requires a thorough understanding of places. It also makes apparent the pressing need for respective models of representation, analytical approaches, and visualisation methods. This demand reflected by recent events like the PLATIAL’18 workshop lays out the motivation of convening this special issue. How can we move forward the integration of platial information with GIS? How can we integrate and align GIScience notions of place with existing human-geographic and philosophical notions? How is it possible to establish and quantify relationships between adjacent places? What might be a suitable strategy for aggregating subjective platial information? What roles do uncertainty and fuzziness take in a platial theory of geoinformation? In which ways can places be visualised, and how can we do that at multiple scales? What can we learn about places from volunteered and ambient geographic information? 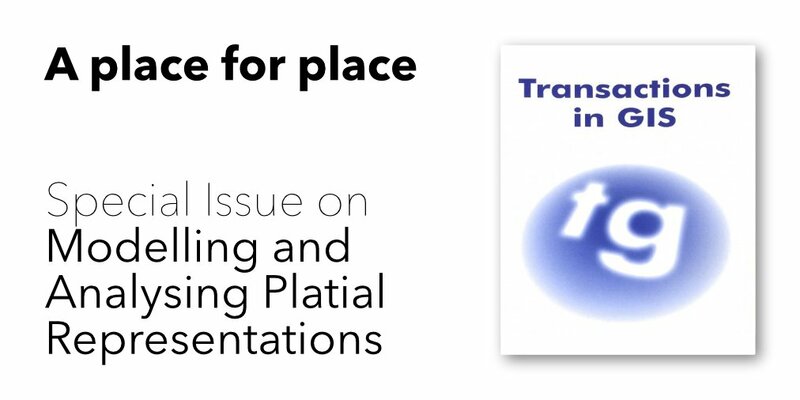 How can platial analysis be integrated with applied research agendas from neighbouring disciplines like sociology, urban planning, or human geography?